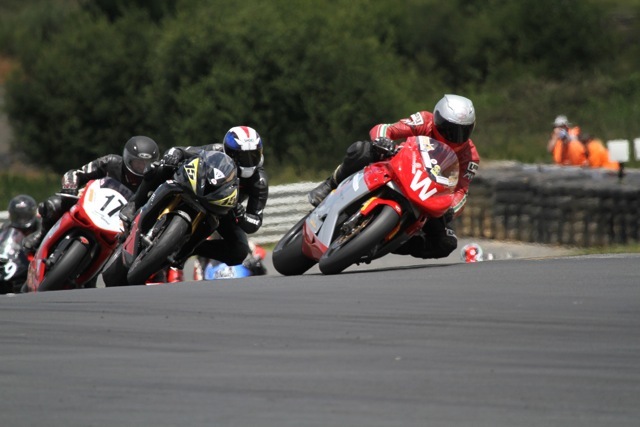 In 2015/16 season in New Zealand John Woodley contested the Bears class in the 2015 Barry Sheene meeting at Hampton Downs, known as the Shorai International where he qualified second fastest. In the Suzuki Tri Series where he finished 6th overall in the 1000cc class against riders as young as 17 (he is 66). In the Sound of Thunder meeting in Ruapuna, Christchurch in February 2016 he finished third in the Trans-Tasman challenge starting from pole. The many corners at Ruapuna showed his lack of general fitness and he has since embarked on a training program for fitness of five hours a week, including steep hill walking 5km three times a week and two evenings in the gym with a personal trainer. He has sponsorship for a return to NZ for the same Tri Series, and the Barry Sheene international, and the Sound of Thunder in the coming summer season 2016/17. At Hampton Downs in the Suzuki Tri series, one of six races in the series. In this race he finished 4th but was awarded a jumped start penalty! His enthusiasm was apparent! Immaculate turn out. Good value for sponsors. 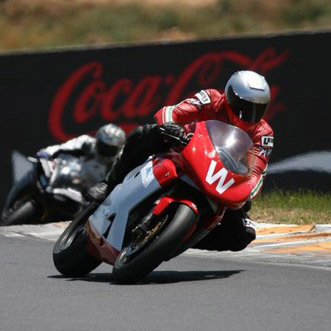 In December 2010 John Woodley returned to the racetrack to race for the first time in 29 years. 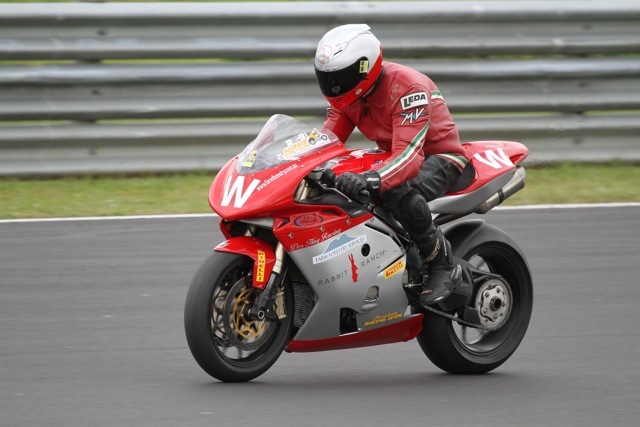 He contested the Bears* class in the New Zealand Tri series on his MV Agusta R312 and had progressed to second equal on points after four races. The last two races did not go as well and he dropped down the points to 4th overall for the series. This effort is considered outstanding for a 60 year old! His return to racing was welcomed by the New Zealand racing public. He won five New Zealand Championships in the 1970's and is a three times winner of the Australian 500cc GP at Bathurst). Farm Forestry Race Team: Producing Carbon and Excitement for the benefit of Forestry and the Public at large. *British European, American Racing which was introduced specifically to exclude Japanese machinery who were technologically superior when the class was introduced. Now however the non-Japanese machinery such as Ducati, Aprilia, MV Agusta and BMW are the technologically superior makes. 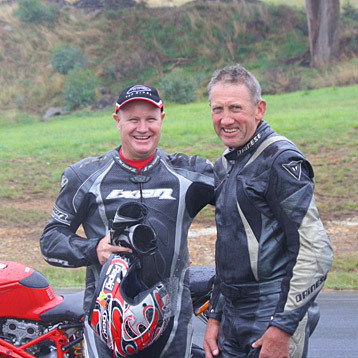 Bernie Hatton invited John to be involved after training John for three days before his racing trip to NZ where he finished fourth in the Bears class of the Tri series after 29 years away from racing.